Umbria Jazz is one of the most popular jazz festival in the world taking place in Perugia. The first edition was held in 1973 and every year, in July, it hosts concerts of Italian and foreigner famous jazz players. In the last years it also opened its doors to the leading figures of other musical genres. 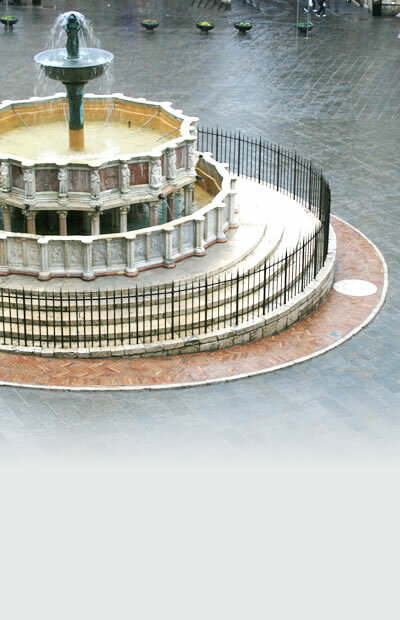 The wide appeal of the event attracts people and crowds the main squares and streets creating an evocative atmosphere, especially in piazza IV Novembre where the Fontana Maggiore, the historic centre main fountain, and the other monuments are the background of the musical show. From 2003 the Santa Giuliana Arena hosts concerts of the main artists of the international scene.